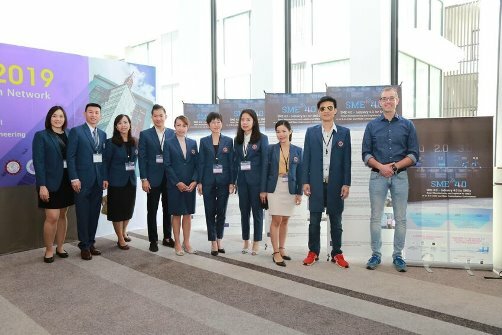 At the International Conference "Industrial Engineering and Operations Management (IEOM 2019)" in Bangkok, a research project of the "Smart Mini Factory" and a researcher of the Faculty of Science and Technology received an award. 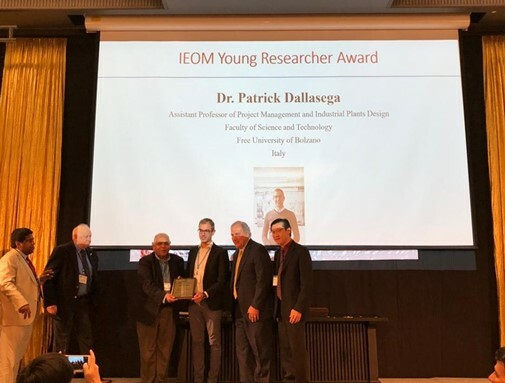 Researcher Patrick Dallasega received the IEOM Young Researcher Award recognizing his active participation in the last IEOM conferences. In addition, the work "Suitability of Industry 4.0 Concepts for Small and Medium Sized Enterprises: Comparison between an Expert Survey and a User Survey" received the "Best Track Paper Award" for the Track on Industry 4.0 research. 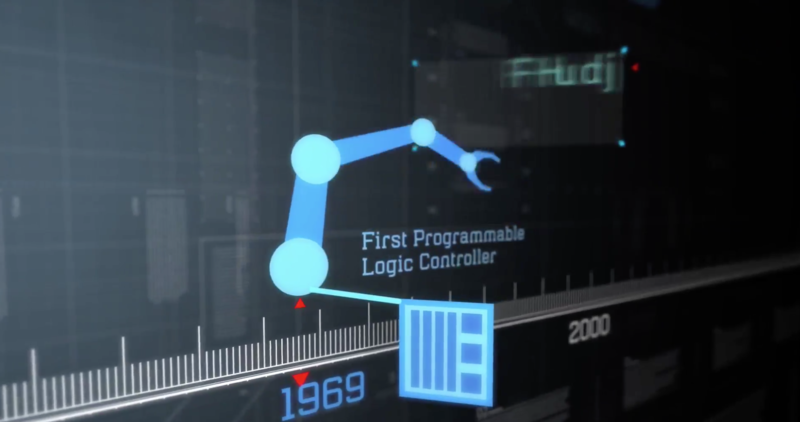 The research work was carried out as part of the "SME4.0 - Industry 4.0 for SMEs" project and in the "Smart Mini Factory". During the 9th Annual International Conference on Industrial Engineering and Operations Management Prof. Apichat Sopadang moderated a panel session to discuss the impact of Industry 4.0 to economy, society and education. Prof. Athakorn Kengpol from the King Mongkut’s University of Technology North Bangkok, Professor Kanchana Sethanan from the Khon Kaen University in Thailand, Dr. Warisa Wisittipanich from the Chiang Mai University and Dr. Patrick Dallasega from the Free University of Bozen-Bolzano participated in the discussion. 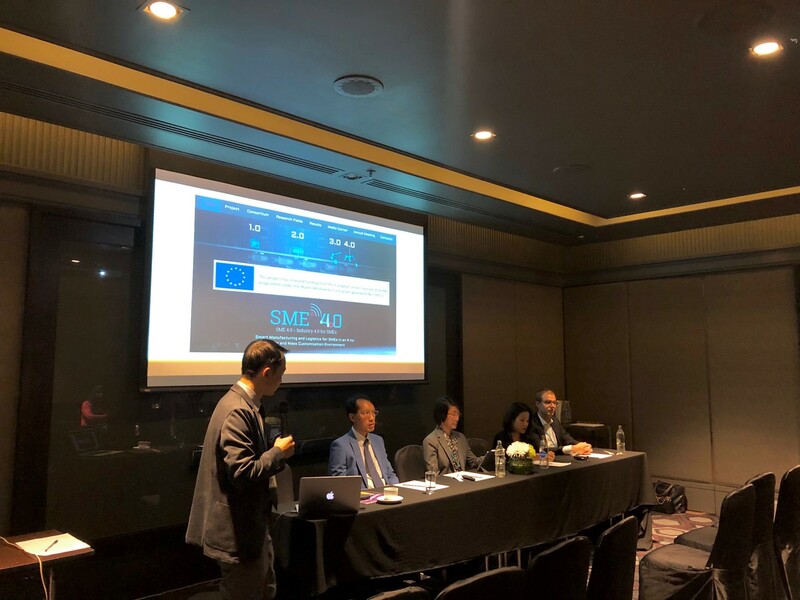 During the panel session the project “SME 4.0 – Industry 4.0 for SMEs” was presented as an important reference project between the research collaboration between European and Asian universities. 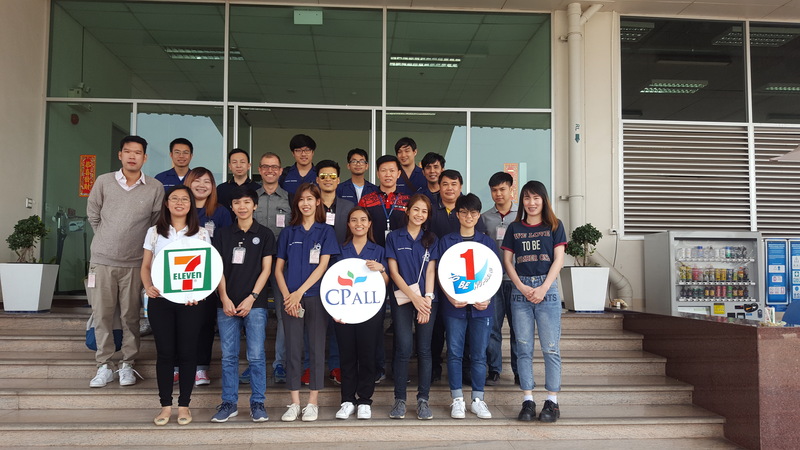 On the 16th February 2019 Prof. Sakgasem Ramingwon organized an excursion to the 7-Eleven Local Distribution Center located in the province of Lamphun Northern Thailand with his students from the master degree as well as PHD- students in industrial and logistics engineering. During his secondment at CMU Dr. Patrick Dallasega from the Free University of Bolzano participated to the excursion in order to analyze which concepts and technologies from Industry 4.0 had been applied to the company. 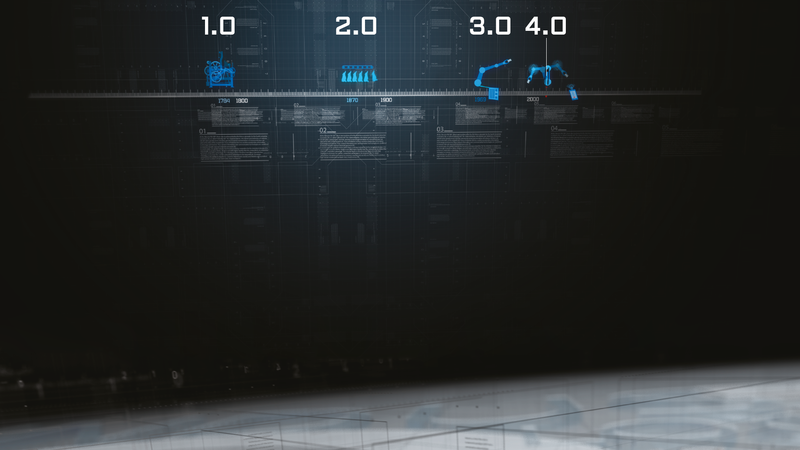 On 31. 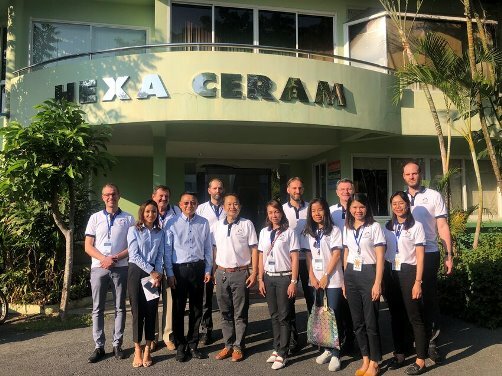 January 2019 the participants of the 3rd Annual Meeting in Chiang Mai visited the Thai company Hexa Ceramics. The company is one of the leading dental laboratories in Thailand and also abroad. 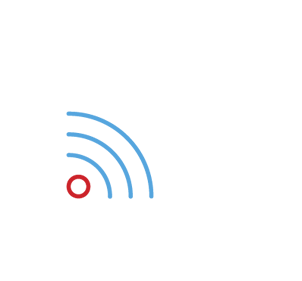 The company started years ago as a small SME and due to the introduction of innovative technologies as well as digital solutions for sales and a faster order processing the company could grow to a leader in its field with several production facilities and nearly 800 employees. 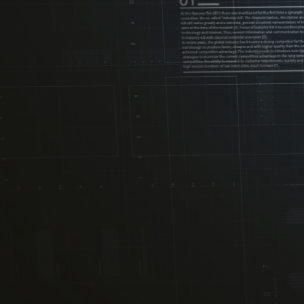 Participants of the project could discuss with the management how Hexa implemented this solutions and which were and are the most difficult challenges in the implementation. On Wednesday 30. January and Thursday 31. 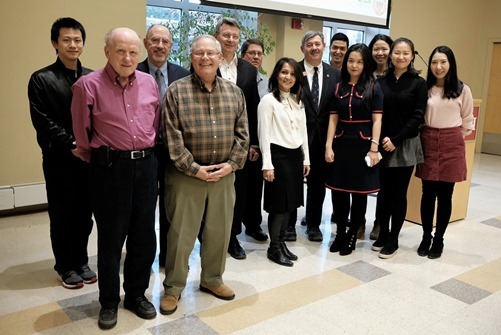 January 2019 the team from Chiang Mai University hosted the 3rd Annual Meeting of the research project “SME 4.0 – Industry 4.0 for SMEs” at the Northern Science Park of Chiang Mai. The event was opened with a welcome speech by the Vice President for Research, Innovation, Research Strategies and Innovation of CMU Dr. Sampan Singharajwarapan, the Dean of the Faculty of Engineering Dr. Nat Vorayos and the RISE representative of CMU Dr. Apichat Sopadang. 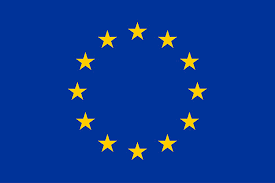 More than 30 people from CMU as well as the partners from Italy, Austria, Slovakia and the USA participated to this event. The first day of the meeting was dedicated to an update of the work packages and presentations from the Science Park and digital start ups. On the second day 13 scientific presentations were held by the participants presenting the results and findings of research activities in 2018. During the social dinner, participants could deepen networking and the exchange of ideas with Northern Thai food and Lanna Dance performances. SME4.0 joined the "Northern STEM Day @ Northern Science Park on January31, 2019. The event was hold by Science and Technology Park of Chiang Mai University (STeP CMU) with Ministry of Science and Technology to promote Science, Technology, Engineering and Mathematics skills to the community. The event attracted more than 1,000 high school students joining the activities and exhibition by startups, academics and governement agencies. On 29 January 2019 a tutorial for Axiomatic Design took place at Chiang Mai University in Thailand. The tutorial was attended by nearly 20 students, phd-students and faculty members from Thailand, Italy and Austria. Prof. Christopher Brown from Worcester Polytechnic Institute (USA), a world-renowned expert in Axiomatic Design, taught the participants the basics as well as the application possibilities. Dr. Erwin Rauch from the Free University of Bolzano (Italy) presented some practical examples for the application of the methodology in industry or healthcare. Subsequently, the participants were challenged to put what they had learned into practice in a group work. The tutorial ended successfully with the presentation and discussion of the various group works. On 11-1-2019, Prof.Dr.Sudhakara Pandian (SACS-India) along with Robert Poklemba and Jakub Sopko (TUKE-slovakia) visited a medium sized Industry HITECH ARAI in Madurai, India where OIL SEALS are being produced in collaboration with Japan. They had a discussion with Mr.Sridhar, Manager of the Industry, for the possibilities of implementation of Industry 4.0 in future.